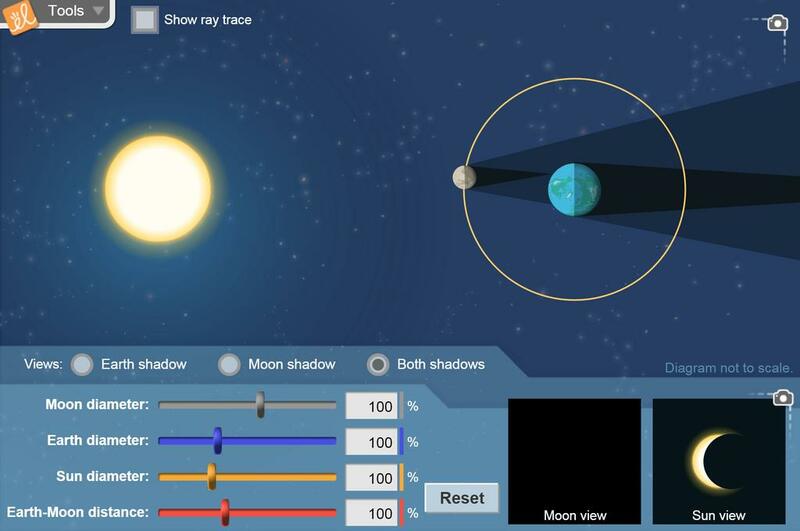 Manipulate the position of the Moon to model solar and lunar eclipses. View Earth's shadow, the Moon's shadow, or both. Observe the Moon and Sun from Earth during a partial and total eclipse. The sizes of the three bodies and the Earth-Moon distance can be adjusted.